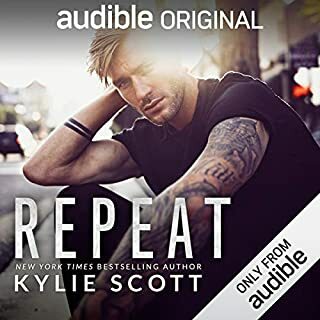 It Seemed like a Good Idea at the Time, from best-selling author Kylie Scott, is a brand-new audiobook that will have listeners hooked. Returning home for her father’s wedding was never going to be easy for Adele. If being sent away at 18 hadn’t been bad enough, the mess she left behind when she made a pass at her dad’s business partner sure was. Fifteen years older than her, Pete had been her crush for as long as she could remember. But she’d misread the situation - confusing friendliness for undying love. Awkward. Add her father to the misunderstanding, and Pete had been left with a broken nose and a business on the edge of ruin. The man had to be just as glad as everyone else when she left town. Enjoyed this story. Had some drama, awkward moments, and love finally won the day. Some parts a little unbelievable, but it is only a story after all. Not often I read a book that both entertains with the way it is written and so well narrated. 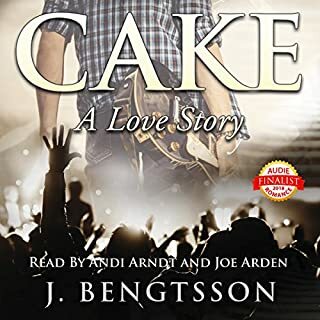 Andi Arndt is a fabulous narrator and this book particularly suits her. This was a really sweet, slow burning love story. I bought this book based on the blurb provided, and because I love Andi’s narration. Imagine my delight, and horror, to slowly find out that the story was set in my home town and the surrounding towns that I now live in. So excited to listen to this, reliving my summer night out in Palmwoods, the smells, the stars, the heat. My horror was listening to an American narrator of an Australian story. It kind of spoiled the story for me. I know not every listener will be an Aussie, but it just left me a little sad, and that’s why I wasn’t fully committed to a 5 star review for performance. Andi was awesome & voiced Adele’s wit & sarcasm so well, she just didn’t have the right heritage. I look forward to more of Kylie’s books, but I might read them instead of listening. 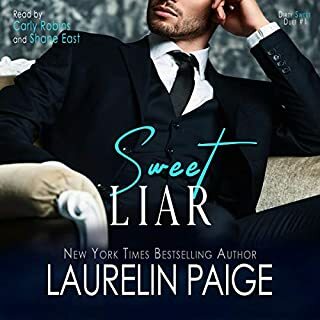 This was my first Kylie Scott book and I enjoyed it. I was a little frustrated with Peter at times, but he eventually got himself together. I loved Adele, as she was refreshing. Her humor and honesty are traits that are rarely seen in female characters. First I enjoyed this book, I am not a huge fan of before and present but it worked well for this story. My one downfall is it ended too soon, I feel like we could have gotten another 3 good chapters of what it is like for them in the now, and even the epilogue was only like a few months. So for me, that was sad. I wanted something more. I enjoyed the age gap, I think it worked for this book I very much enjoyed the friendship in this book that is what I liked best. I really don’t have anything profound to say, it was a good story and I already explained what I wanted more. So on to narration. 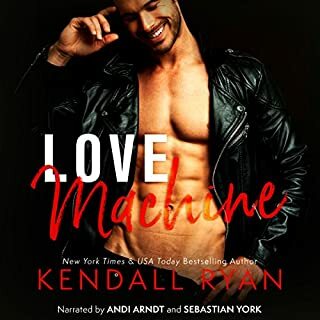 I am a fan of Kylie but I do wish she would find more narrators, I like Andi’s work don’t get me wrong but when she is the only one narrating all Kylie’s books they can start to all sound the same even when the story is different. I know this is probably an unpopular opinion but that’s ok.
Kylie Scott never disappoints and this book is no different! I loved everything about this story! I couldn’t put it down! Big Kylie Scott fan. Loved Stage Dive Series and TRUST was brilliant. 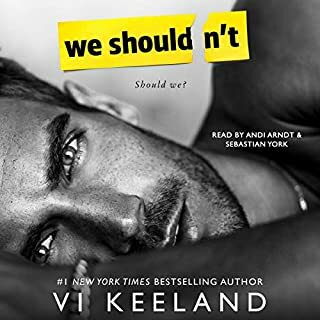 Just waiting for the Dive Bar series to be finished before diving in (pun totally intended) so I was thrilled when "It seemed like a good idea at the time" was released as a standalone. 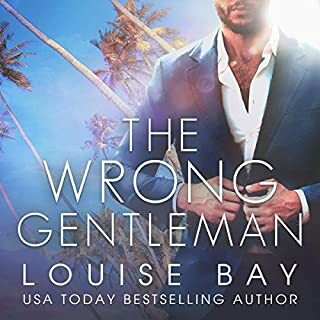 This story starts with 25 yr old Adele retuning to home to attend her father's wedding after a 7 year absence due to an unfortunate boobgate incident with Pete, her father's employee and her summer friend. Adele has to stay at Pete's house prior to the wedding which makes things awkward. 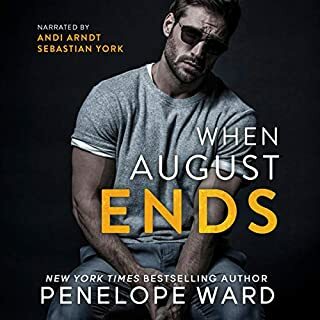 The story switches between past and current to explain what happened between Adele and Pete and lead into what is going to happen. In true Kylie fashion, Adele's character is sassy and smart with a bit of snark and I loved her but unfortunately the story fell a bit flat and predictable for me. I struggled most with the 15 year age difference btwn Adele and Pete. Pete's friendship with Adele started in her teens and he seemed like more like an uncle to her. They are now 25 and 40 but it still didn't feel right to me. If you are a Kylie Scott fan don't hesitate to listen. It is still Kylie Scott and the writing is solid and real. As always, Andi Arndt does a wonderful job bringing Kylie's words and characters to life. I love Kylie Scott. So what happened here? Every other one of her novels have been entertaining and I have read or listened to them all. This was a HUGE disappointment. Nothing interesting happened here at all, ever. gag reflex set in" we need real storytellers, like you, to deliver! 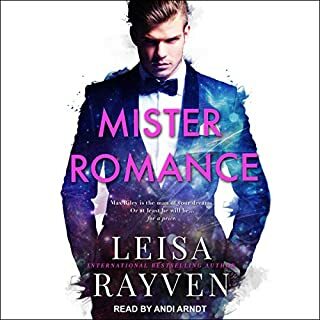 That said, adding a Male narrator really amps up an audible experience. Please forgive this rating, I truly love your writing gift. Please consider this tough love. 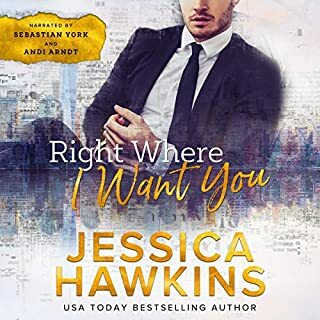 Single POV told in first person, this story is a forbidden romance about a girl who falls in love with her dad’s best friend and business partner. They have a history of him being such a great friend to her as she grew up, where her crush began. She makes a grand gesture when she turns 18 that is not taken very kindly which drives her to move away. 7 years later, she is back and emotions have not died. 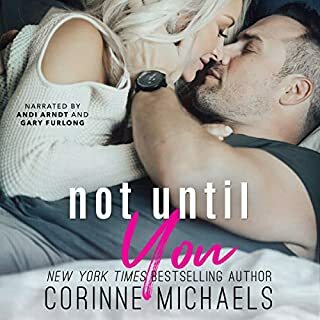 I love forbidden romances and this one did not disappoint. Kylie Scott’s humor shines bright in this book and I found myself chuckling constantly. The female main character is hilarious and such a unique and quirky girl that just endears you to her so much. The male main character is broody and closed off, the combination of them together is a frequently told story but Kylie’s spin made it one of my favorites. What I couldn’t understand is why it took place overseas but no one had an accent? How could that be? I don’t understand? While Andi did a great job narrating, I couldn’t get over the missing accent. 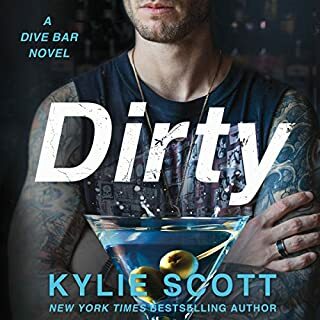 I rarely write reviews, but I just love Kylie Scott books, I just like the way she writes and they way she builds the dialogue between characters. Love how they banter and tease each other. I liked the story and it was worth the credit. Another case of a great premise but horrible execution. I listened in its entirety hoping that the story would redeem itself, sadly it could not. The hero Pete was a complete turd (yes I said it). The romance between him and Adele felt forced and she spent the entire book making excuses for him basically acting like a spoilt child (although he was 15 years her senior). I'm also not a big fan of waffling heroines and Adele was that for me. The internal monologue basically telling the reader she was done with Pete only to end up at his doorstep five minutes later was maddening and when she fell from the tree branch, which was an accident (albeit a stupid one), and he had the nerve to be pissed, well, that sealed the deal for me. No issues really with the narrator it's a voice I've heard over and over and over again in other books. 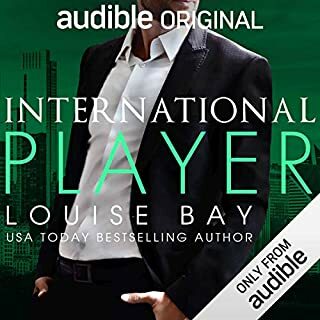 Not bad but not great either, I have a thing about tone and inflection (listen to Jill Redfield narrate and you'll understand what I mean). 2.5 stars. A miss for me. I usually like Kylie Scott. I listened to “Repeat” and loved it. I have read her Stage Dive novels and liked them. But this is a miss for me for two reasons. Firstly, the story is told in first person narrative from the heroine’s point of view only. This is usually fine. That’s how “Repeat” was written too. But in that story, I got a great sense of the hero’s character, the way he thought and felt from his words and actions as observed by the heroine. I loved the hero in that novel. Here, I felt the hero gave nothing away through his actions and words about his thoughts or feelings. Not until the end by which time it was too late for me. In the intervening period, I found little to like about him. The heroine relied heavily on descriptions of their past friendship as the basis for her ongoing love. In the present, the “relationship” seemed one-sided with the heroine doing all the work. 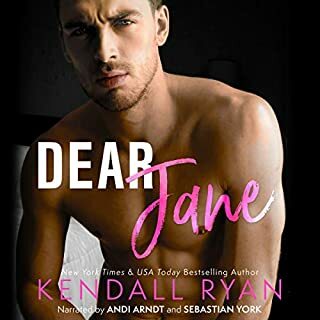 I KNOW Kylie Scott can write a romantically satisfying story, but compared to her previous novels, this one didn’t feel romantic to me. Secondly, please know I LOVE Andi Arndt. If I see her name listed as the narrator, I KNOW I’ll have a good listening experience. But here, I felt torn. Her voice is great, but this story is set in Australia. All the characters are Australian. There are Australian places, and sayings and events. But there was no Australian accent in the narration. Not even a hint of an accent was attempted. I don’t understand the decision behind this. It really bothered me. Had the story been set in England, I’m sure it would have been narrated with an English accent rather than an American one. It’s a bit scary to write a review that is clearly in a minority – especially about a beloved narrator and an admired writer. But I’m being honest, and raising issues others too may feel are important. However, if my reservations about the story don’t bother you, then you will enjoy this story. Will I listen to Andi Arndt again? Absolutely. She’s a fave! Will I buy Kylie Scott novels again? Yes. I’m a fan. it was a fun listen. strong, fun, sassy, female main character. Andi is a talented narrator. Enjoyed listening to this. Probably not one that will stick with me in my memory, but worth a credit.